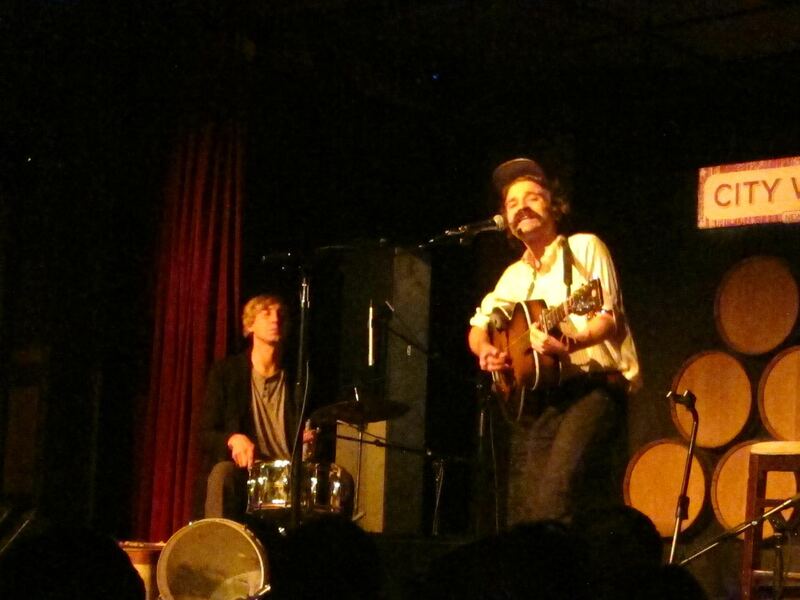 Langhorne Slim buys little pink house for a song | Will You Miss Me When I'm Gone? 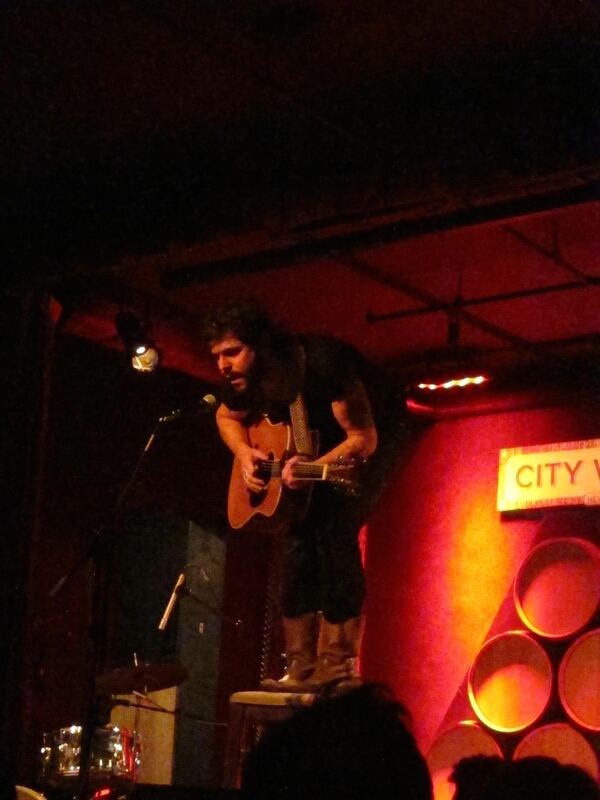 Langhorne Slim is a homeowner. And it’s not just any home, but a little pink house on a street with a history in Nashville, where he’s been living for awhile. “It’s magical,” Slim (born Sean Scolnick in the suburban Philadelphia town that comprises the second half of his stage name) said Tuesday evening. Slim, like the majority of working musicians, didn’t exactly have the funds at hand to buy a house — even in Nashville, where prices are much lower than in the NYC metro region — on a whim. But when somebody in his life sent him a photo of this house, it was pretty much love at first sight. Like any would-be suitor, he stalked it at first. “I sat in front of it,” he explained. Then, in what would have been a massively embarrassing moment for most people, but not, apparently, for Slim, a man came out and asked him if he had any questions about the house. “Are you the owner?” was the first thing Slim said he asked. Given that they were in Music City, Slim figured that was just a come-on, but quickly learned that it was for real. And that the neighborhood has a long list of resident musician. Slim even mentioned something about a Mariachi band that used to play on the house’s porch. Basically, the way Slim tells it, Gary, who has put the house on the market for the first time in 30 years, decided that Slim and the house were made for each other. Money, in this case, was an issue. But love has a way of conquering all, so Slim kept at it, trying to win the house. He even wrote a song about the house, and sent it to Gary. When he didn’t get an immediate response — the owners were in Belize at the time, but had been very quick to reply to his flurry of emails during negotiations — he says he figured he had lost at love, and that the song sucked. Lucky for Slim, there was just a delay, and it all worked out., in part because of the song. So, his house is, literally, a little pink house. Well, maybe not so little, at least by New York Standards, as I believe it clocks in around 2,000 square feet. It’s in one of Nashville’s hippest, quirkiest neighborhoods. And while Slim didn’t reveal the address, he did, by the end of the evening, provide enough clues in his delightful ramblings and in his love song to the house that it wouldn’t be hard to track down the address. Out of respect for Slim, I won’t help him further erode his privacy by posting a photo, address, or even name the neighborhood. But believe me, it’s a pretty cool place. Almost makes me want to move to Nashville. Speaking of privacy, Slim noted that somebody told him he should install privacy fencing around his newly acquired yard. But he refused, noting that “we all have penises and vaginas” and we might as well get used to seeing them occasionally. It’s no surprise that Slim would buy a magical house. It seems like everything about Slim seems magical. He’s uncomfortable having his photo taken — he politely shut down a camera-phone user sitting stageside at his show Tuesday night at City Winery. He wore a broad-brimmed hat and had the stage lights dimmed — making photo-taking difficult at best. And he even announced that while he would pose for photos with fans at the end of the show, he’d really rather skip that part and just give fans a hug and talk awhile. But now, about the show. After a remarkable set by two of three members of Twain, a fantastic band whose lead singer evoked Roy Orbison, among other ethereal vocalists, Slim took the stage. He played some of his best-known tunes, reaching back to some of his earlier material, but giving plenty of attention to his most recent album, 2012’s The Way We Move. He also brought that album’s producer, Kenny Siegal, whose Old Soul Studios in Catskill, N.Y., was where that album was recorded, onstage to accompany him with a 12-string on a few songs — some of them from the album Slim will start recording with Siegal in Nashville in short order. 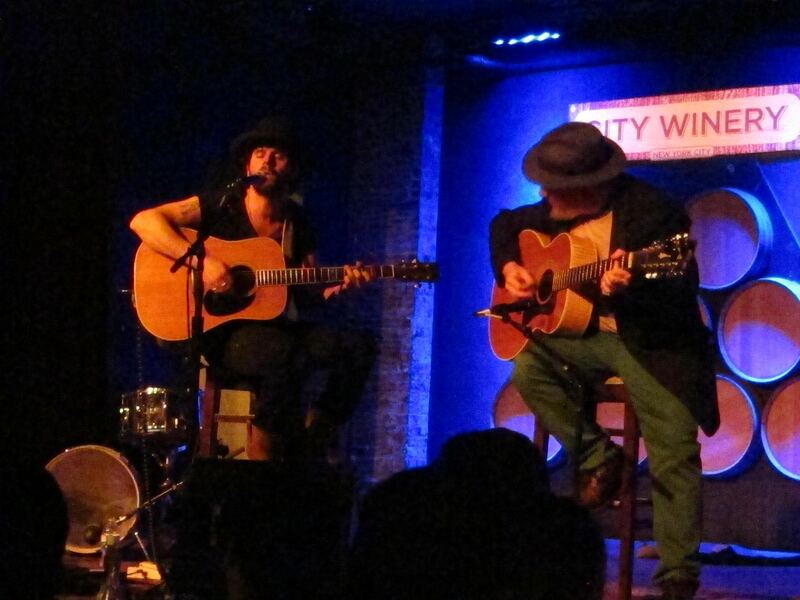 This entry was posted in Country, History, Music, Review, Singer-Songwriter and tagged City Winery, Langhorne Slim, Little Pink Houses, Nashville. Bookmark the permalink.